Have you had flood or water damage in your home or office in Carmel Valley ? Our Flood & Mold Remediation pros have been serving Carmel Valley and the San Diego area for over 25 years. If you have had a recent flood be sure and check your home for mold. Mold problems should be dealt with immediately before they can have devastating consequences. Gold Coast Flood is the top expert in Carmel Valley and San Diego County for safe, effective, and thorough mold removal and remediation. Centrally located, we service Carmel Valley and all of San Diego, 24 hours per day and 7 days per week. We are proud to be celebrating our 25th Anniversary of providing excellent service in San Diego County!! Ask anyone who has used us, in Carmel Valley our name is synonomus with quality work. Our clients are our best advertising. Gold Coast Flood Restorations are your Carmel Valley water removal specialists. 24 hours per day, seven days per a week. We are your Carmel Valley Water Damage Pros. If a mold inspection reveals that your home does indeed have mold you will need to have the mold removed. Mold removal, also known as mold remediation, will need to occur to avoid the spread of mold into other areas of the structure. Mold remediation should be done as quickly as possible. Give us a call at (858) 495-9133 and we’ll show you that we are the Carmel Valley mold removal specialists! 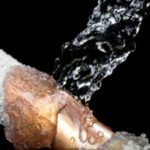 Water damage can have a wide range of effects on your property depending on the type and severity. It is very important that when you are assessing your water damage situation, you take into account the possible unforeseen damage, like water leakage in between walls and under flooring. 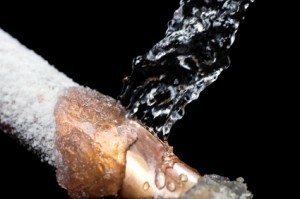 Read more about what to do if you have water damage in Carmel Valley.